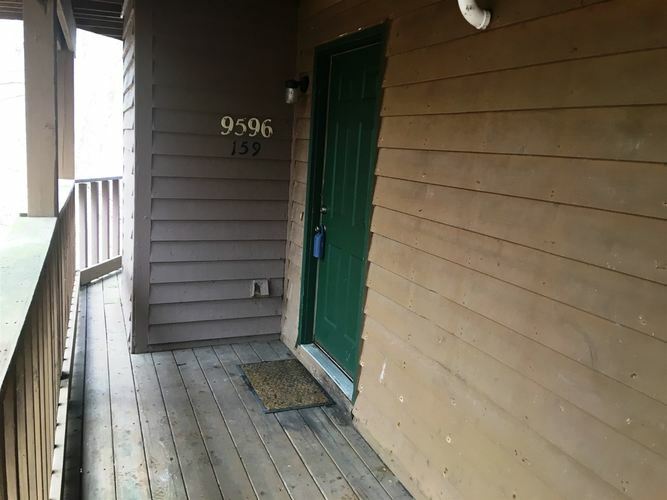 Cute Waterfront 1 BR 1 BA single level condo located at Water's Edge II village at Eagle Pointe Golf and Tennis Resort on Lake Monroe just 12 miles south of Bloomington. There is a spacious living/dining room with new lighting and ceiling fan, a wood-burning fireplace for those cozy fall and winter nights. The deck is wrap around and features a seasonal view of Lake Monroe. The kitchen features ceramic tile, gas range, fridge, dishwasher and disposal. The bathroom features a walkin-shower and ceramic tile. The bedroom is spacious with double closets. There is a stacked washer and dryer that is included. The HVAC was replaced with high efficiency natural gas furnace and new AC compressor. Reasonable HOA dues and PSA dues that include 24 hour on site security. Directions:Enter at Guard Shack, check in, go forward through gate, stay right at stop sign, right on Pointe Ridge Lane, left on Lake Ridge Drive, continue forward, then right. Unit is on lower left of a 6 unit building. Listing provided courtesy of Peek & Associates RE & Mgt Co LLC.